The interview for Muse TV is here. 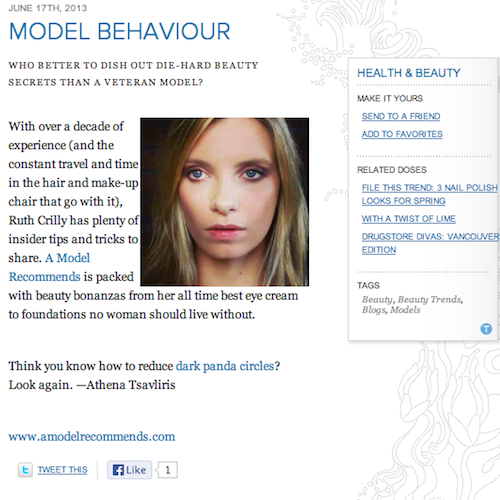 More randomly, I saw this mention of A Model Recommends on Vitamin Daily, a Toronto website. Any Canadian readers here? Hello! If you’ve popped over for the first time then…welcome!